58 Comments on "Former Beatle Ringo Starr Claims the “Real” Paul McCartney Died in 1966 and Was Replaced by Look-Alike"
Is Ringo losing his mind????? Senile maybe???? A blood test and DNA should be taking with Paul’s Brother Mike. Yes of course – a blood test would dismiss (or confirm) this whole crazy notion! yes but where are you going to get DNA from someone who died in 1966? And there is not other body to get that DNA from. Did Armstrong actually walk on the moon……nothing like conspiracy theories and controversy to keep something in our collective minds…..ps I saw Elvis eating a hamburger in Sydney last week … . Astounding. I saw Elvis eating a fellow named Sydney in Hamburg. Yeah man, and it sure was a great burger too. Thank you very! I also heard that Bruce Lee never died and pretended to die to escape the Chinese Triad. He is 74 yo now living somewhere incognito. No, the question is: Did we even GO to the Moon? If Neil Armstrong himself says it, then it should be taken seriously. This is not just some fans, this is Ringo saying it. I watched the moon landing at Jackie Lomax’s London flat with my future husband,Chris, Roy Dyke, the future Sharron Hines, Paul Pilnik, (and, I think,) Pete Clarke, and, of course, Jackie himself. I remember we were torn between excitement and scepticism. Or perhaps that was just me. No you didn’t because he was in Bradford all week eating curries. Wasn’t he a chinese power ranger, i have a strange fantasy i trained with him in martial arts as a child. But it seems insane. You’re fibbing about seeing Elvis. Your claim is impossible because he was at a mall in Florida that same day, shopping for spandex. Shame on you! OH NO! Ringo is dead?!?!?!!? They also claim benefit around here. Ringo dead!!? Nah only from the neck up. people, Pet Sematary work. Get it? I don’t see how Linda, and Paul’s family, could have gone along with this. Ringo’s just having some fun with everybody. Paul and Linda were married in 1969, three years after the alleged death of Paul. His mother died in 1956.
he is just having fun with Paul he knows how to get under Paul,S skin. Paul got married in 1965, died and replaced in 1966, divorced in 1967 and remarried a few years after. Paul was dating Jane Asher at the time. They split up around the time that the “new” Paul showed up. The “old” Paul never met Linda. Ummm.. so you know, linda mcartney was way after the accident. Linda Eastman married Paul/Billy….3 years after Sgt. Peppers was released. Paul was seeing Jane Asher, sister of Peter Asher, of the musical duo Peter and Gordon. Paul McCartney wrote and did some background acoustics for the duo. 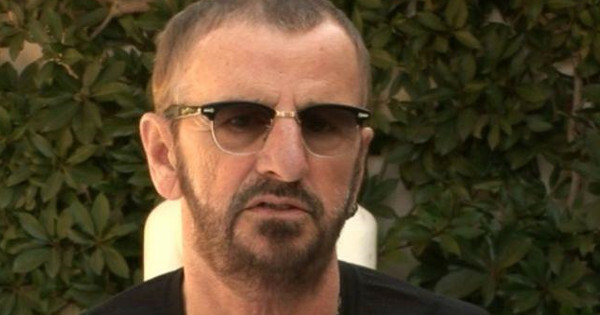 poor Ringo…..nobody asks about him anymore…. I think more people know who Pete Best is. No nothing is never said about Ringo,which is my favorite Beatle. blick fang..thanks for the laugh…. Oh No! wait til ono hears about this….climb aboard and join in. Ringo’s greatest accomplishment was marrying the sensational Catherine Bach, Daisy Duke in the TV show Dukes of Hazzard. Ringo married Barbara Bach, not Catherine. Ringo is a great musician in his own right. Have you hear his latest works? Don’t you like his shoe commercials? Ringo was the best Beatle, best voice. So, let’s play along. Where was Paul buried? Surly a digital voice analysis would shed some light. I always thought Yassar Arafat looked like Ringo Star with a dew rag.